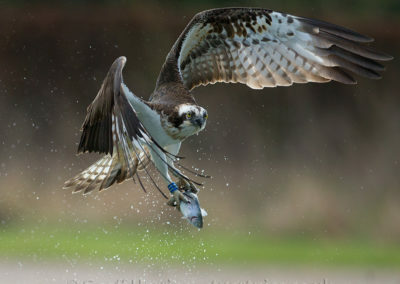 We are so proud of the fact that Horn Mill Trout Farm has contributed to the success story that is the re-colonisation of Ospreys back to England. 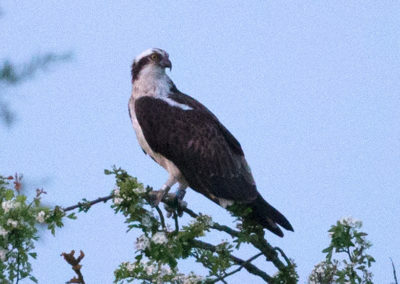 The Rutland Osprey Project’s translocated chicks were brought down from Scotland by Roy Dennis and Tim Mackrill back in 1996 to nearby Rutland Water. 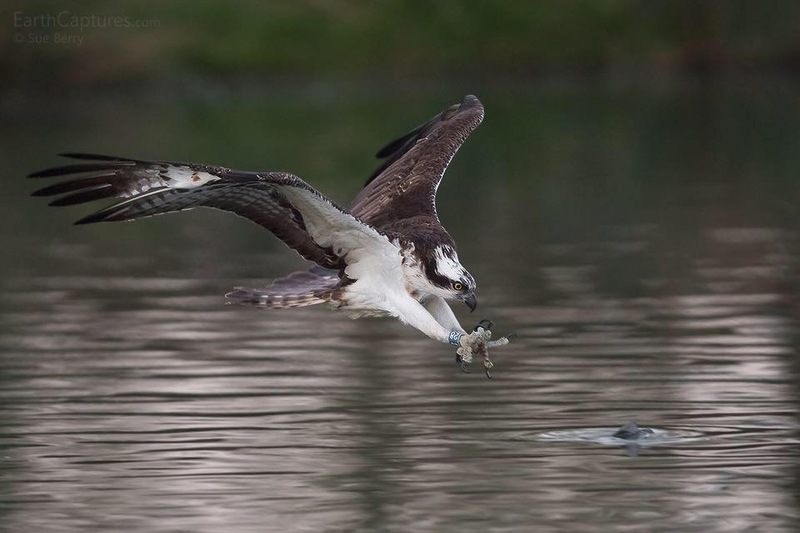 Although it may have only been a small part in providing fresh fish daily we feel it was important as the birds could be guaranteed a constant supply of food. 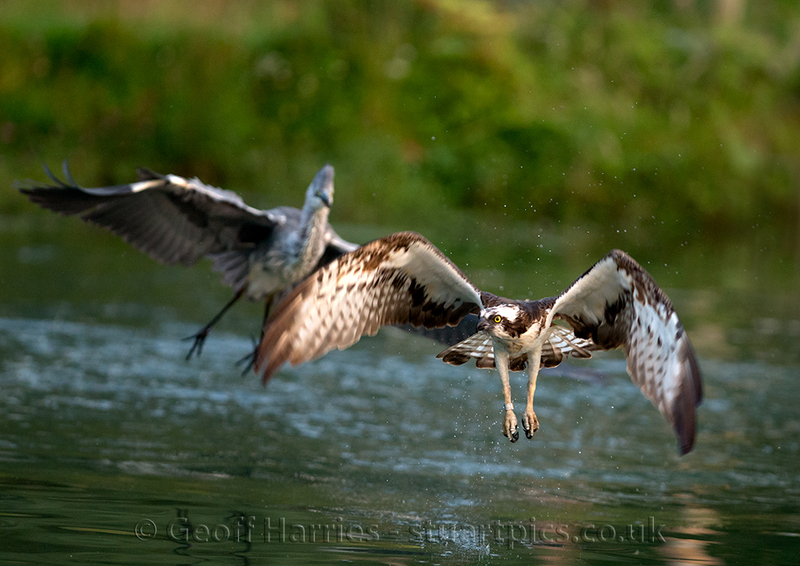 The subsequent years saw the birds returning to Horn Mill Trout Farm to feed at what soon became a fast food outlet for them! 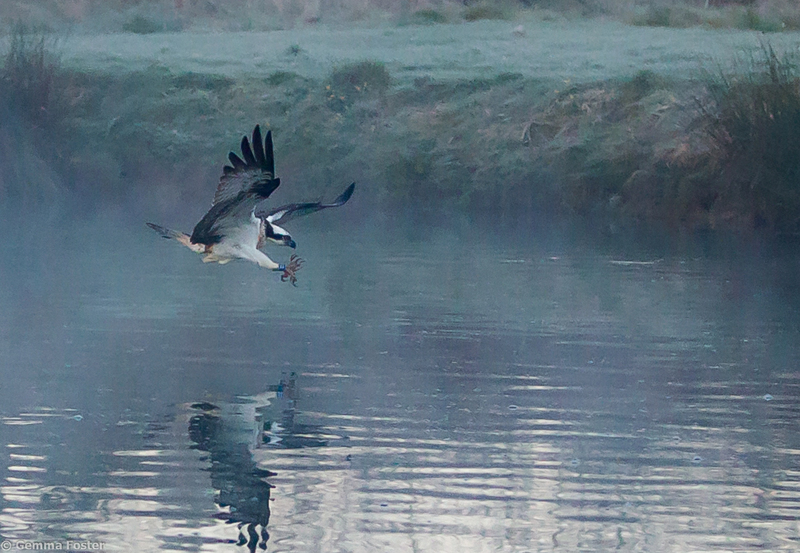 We would often see birds soaring above the farm then dropping from great heights into the ponds of unsuspecting fish below. 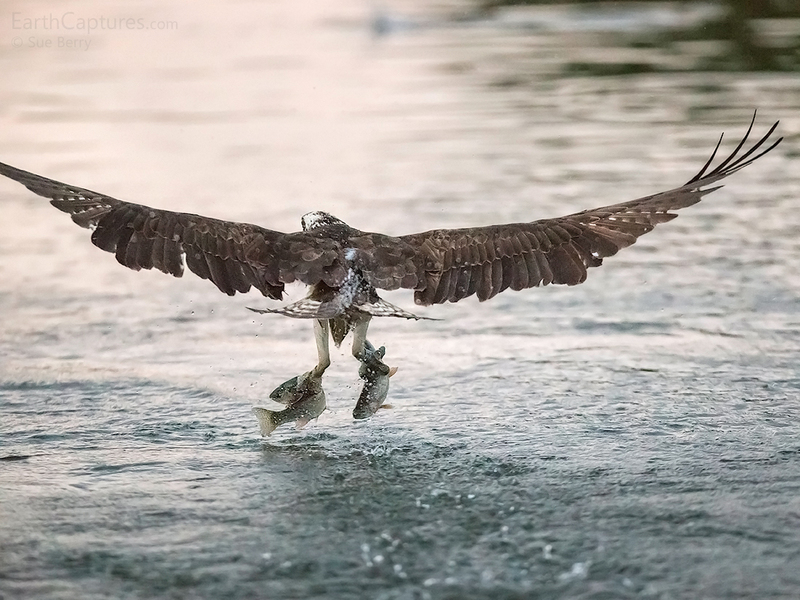 We couldn’t help but be amazed at the spectacular way these birds fished. It was just breathtaking. The Ospreys we could stand but with predation from others such as Herons, Cormorants, Mink and Otters to name a few, we had to start questioning the financial loss to the business and its viability. 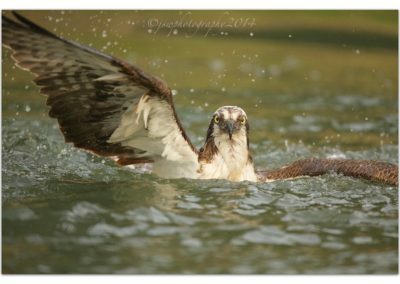 A couple of years ago when we started to net over the ponds at Horn Mill Trout Farm we were approached again by The Rutland Osprey Project. 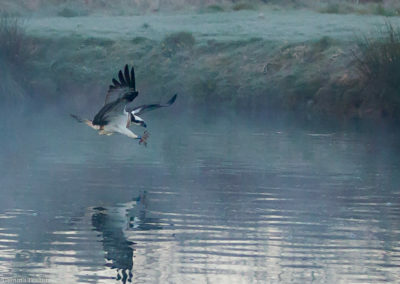 They came up with the idea of having the last pond un-netted to create a unique photographic hide, something which was to be new to England. 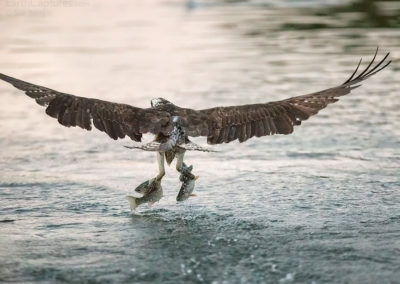 We could see the potential and agreed photographers would be able to get amazing images of Ospreys fishing just metres away from them. 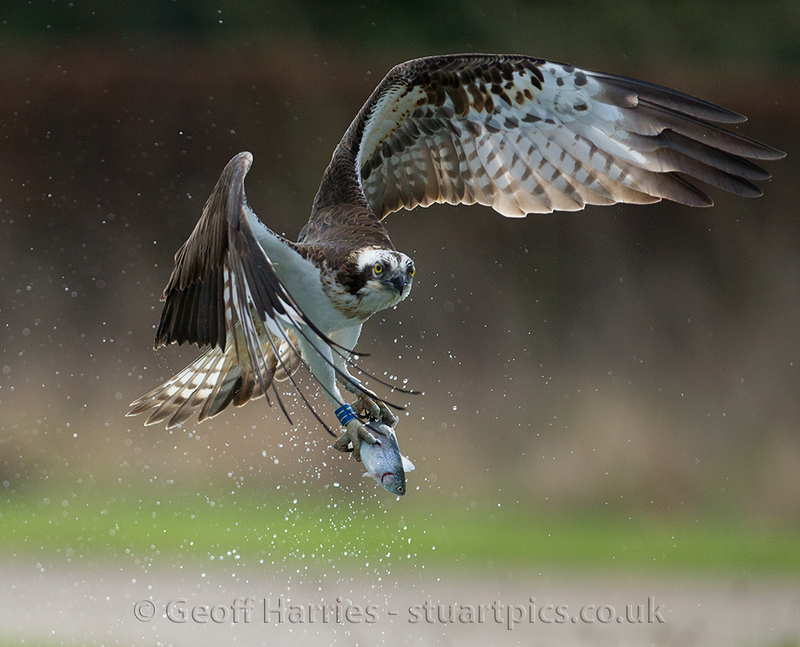 We worked with the fantastic Rutland Osprey Project team and the hide was put up in the latter part of 2014. John Wright got the first images and we were thrilled with the results. 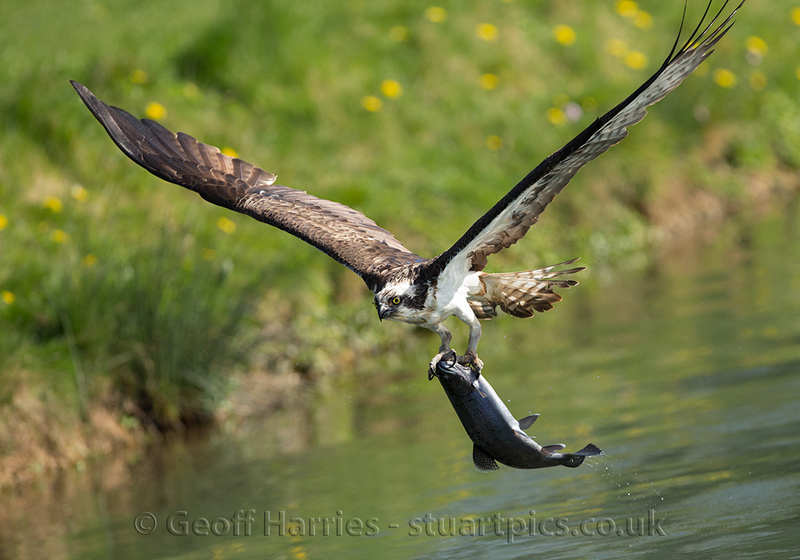 It was soon to be become evident over the past year and a half what an impact one particular bird was having on Horn Mill Trout Farm. 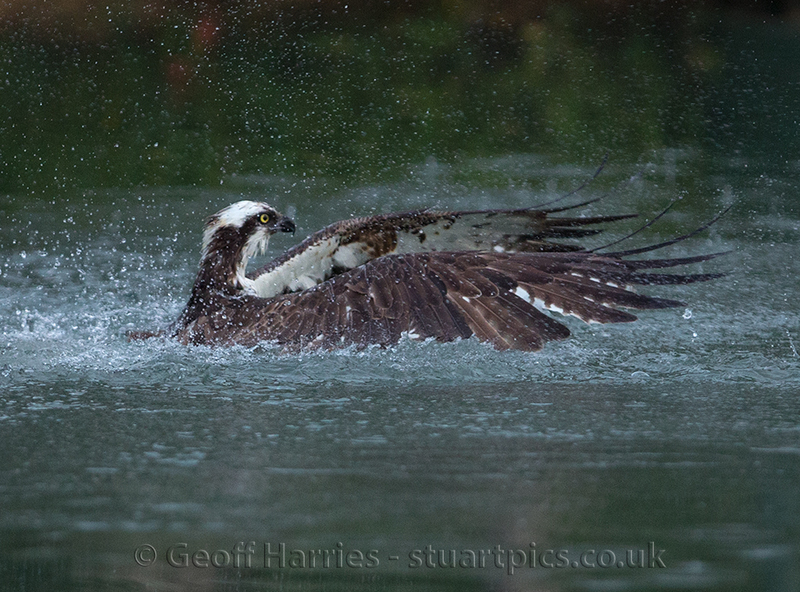 “03 Mr Rutland” had become a real dominant male. 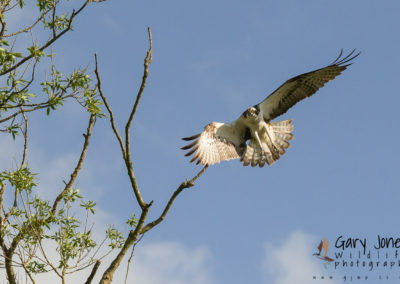 He had been fishing with us for around 17 years and now Horn Mill was his… Being so territorial he would see off other birds as soon as they entered the area and this was having an impact on Horn Mill Trout Farm. 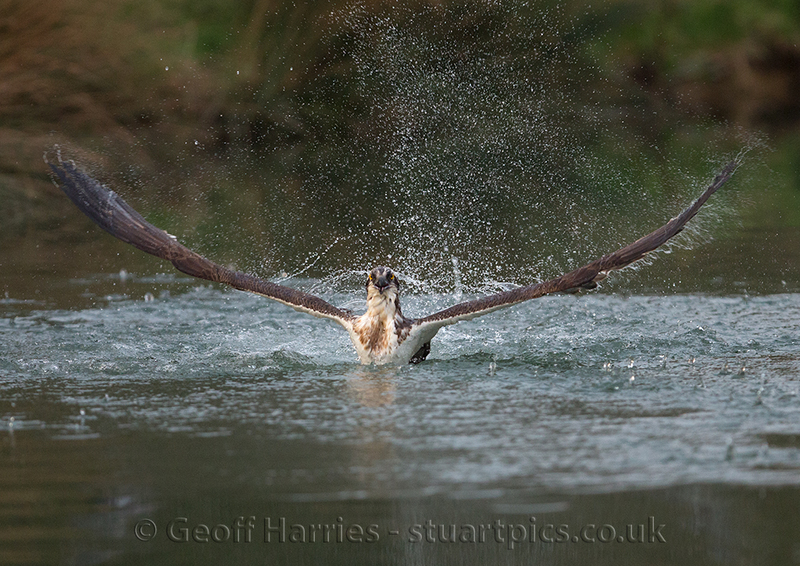 So in 2015 we erected another hide at River Gwash Trout Farm, our ongrowing site at Ryhall near Stamford. 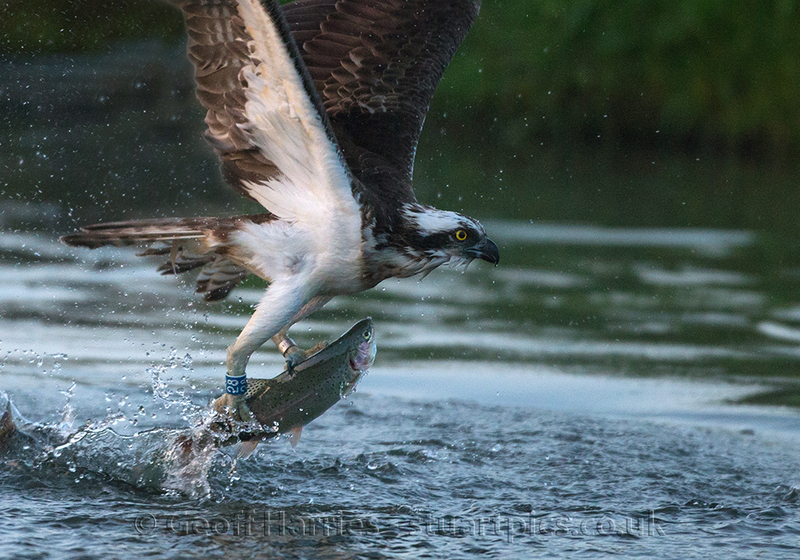 It is just seven miles away from Horn Mill Trout Farm. 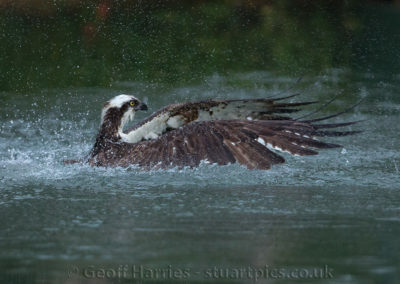 The hide doesn’t give the photographer the best of backdrops and makes things a little harder as it overlooks twelve ponds as apposed to Horn Mills one, but it still gave photographers a great way to see Ospreys fish when Horn Mill Trout Farm was quiet. Ospreys 33, 01 and 28 all fished there regularly, often flying right over the hide and splashing down in front of photographers. This all helped guarantee interest in our hides and what we were trying to achieve from our fish farms. 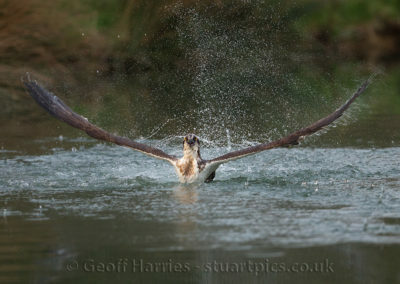 Ryhall is okay, it is there for a backup hide and it has produced some great images including Red Kites taking fish which also created great excitement. But 2016 is certainly the year for Horn Mill Trout Farm. 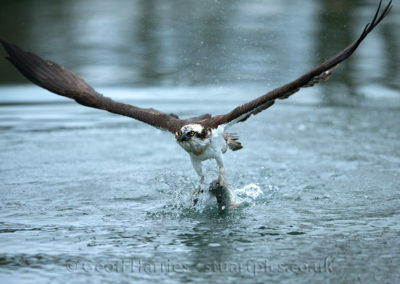 Unfortunately, 03 Mr Rutland didn’t make it back from his wintering grounds, but consequently it has taken Horn Mill Trout Farm to the next level. 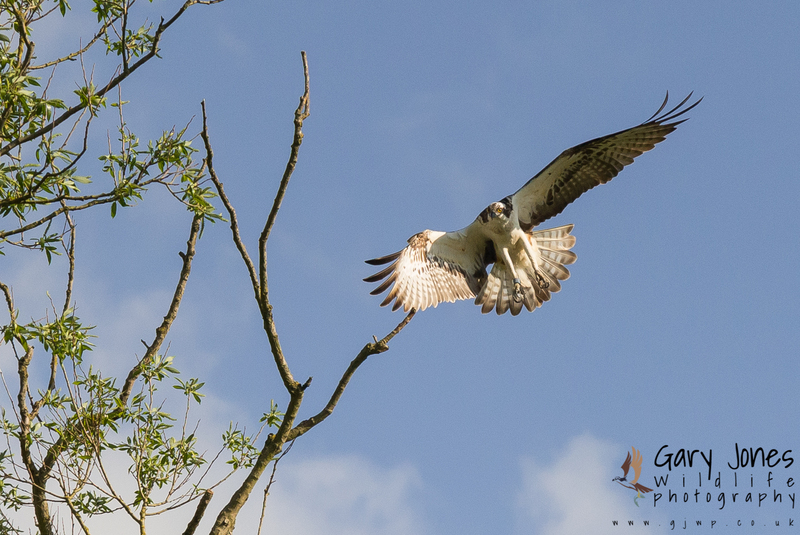 We have seen six males from the seven breeding pairs visit us so far this year! 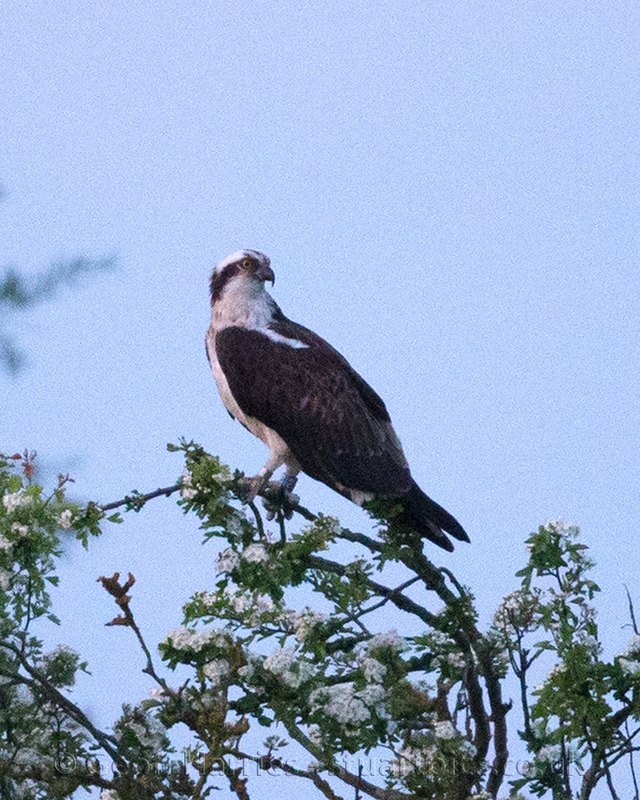 And have had Ospreys visit us every day since they came back in March and all the time we have 10,000 Rainbow Trout in the pond the birds should keep coming back especially when they have chicks in May/June. 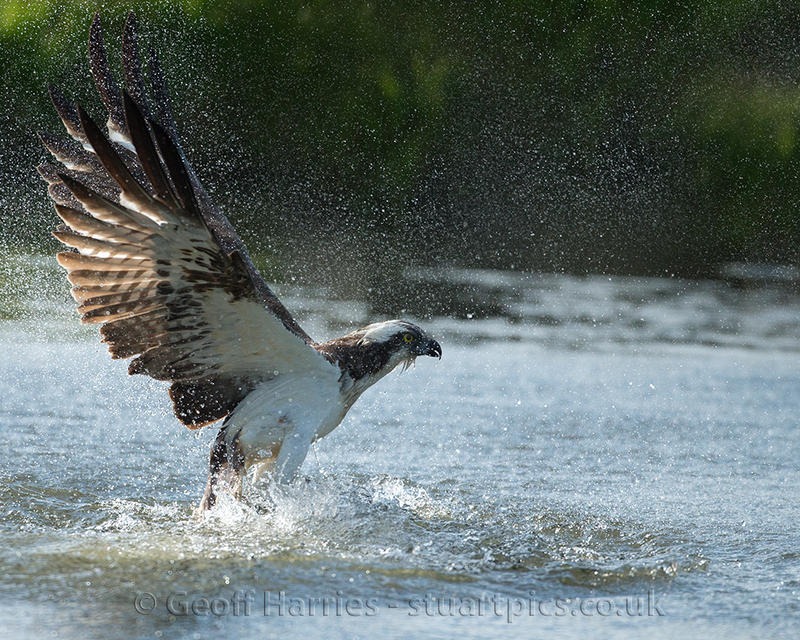 Photographers have had some outstanding results this year, we have birds perching and diving anything from 3 to 25 metres away from you.So obviously there is no need for big lenses. 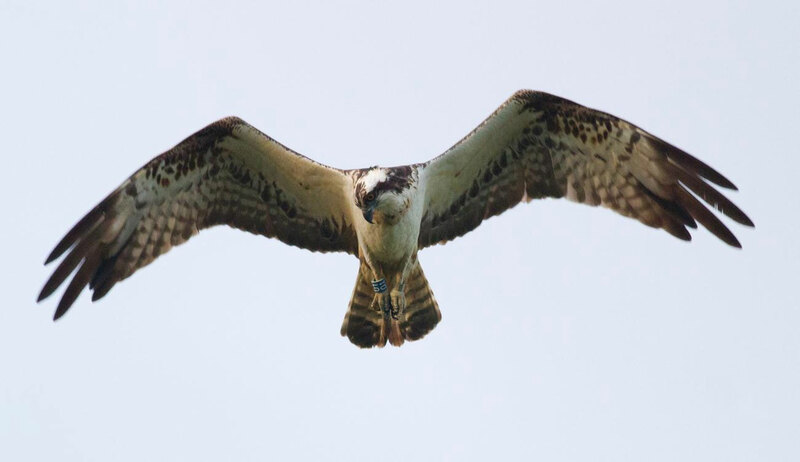 We are even on walkie talkies to tell you when the birds are arriving on site! We feel Horn Mill can only go from strength to strength.